AICN HORROR talks with THE FRANKENSTEIN THEORY director Andrew Weiner! Plus a review of the film! Greetings, all. Ambush Bug here with another AICN HORROR: ZOMBIES & SHARKS column. This time we’re talking with Andrew Weiner, director of the new found footage film that hits DVD/BluRay, VOD, and Digital download this week called THE FRANKENSTEIN THEORY. Further down the column, I’ll be reviewing the film, but first, here’s what Andrew had to say when I talked with him last week. AMBUSH BUG (BUG): First off, congratulations on THE FRANKENSTEIN THEORY. It was a fun film. Tell me how you came up with the concept of the film and, for those who aren't familiar with the film, can you give them a quick synopsis on what to expect. ANDREW WEINER (AW): I wrote the script with Vlady Pildysh. He came to me with a rough high concept that I thought was fantastic. From there, we developed the story, dratted a detailed outline then wrote the screenplay. The central premise of the film is that Mary Shelley's novel, FRANKENSTEIN is based on true events. Our protagonist, is convinced that he is a direct descendent of the real-life historical person that was the basis of the Dr. Victor Frankenstein character. In writing the script, I spent months researching the novel, Mary Shelley and European History especially during the Age of Enlightenment. Mary Shelley is a fascinating individual. She began the novel when she was only eighteen years old. It's a staggeringly mature piece of writing that deals with some of the most profound questions that we as humans wrestle with. While THE FRANKENSTEIN THEORY is not an adaptation of the novel, it is a progeny of the novel and some of those themes that are so central to the novel are central to the film. BUG: There have been quite a few found footage films made recently, but yours does things a little different in that the camera crew are actually making a documentary allowing for cuts and multiple camera angles and such. Can you explain what made you film FRANKENSTEIN THEORY in this way? AW: I produced another fake documentary, MAIL ORDER WIFE that centered around a documentary filmmaker's botched attempt at making a film about an arranged mail order marriage. While that movie was a dark comedy (that everyone should go see!) the style of filmmaking certainly influenced how I approached THE FRANKENSTEIN THEORY. In fact many of the same people that made MAIL ORDER WIFE were involved in making THE FRANKENSTEIN THEORY. Andrew Gurland & Huck Bokto who wrote and directed Mail Order (they also made THE LAST EXORCISM) Exec Produced Frankenstein. Luke Geissbuhler, who was the cinematographer on Mail Order (he also shot BORAT) was my D.P. on Frankenstein. 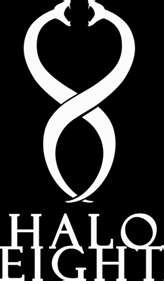 They understand the genre as well as anyone, so I was very excited to collaborate with them again. BUG: Explain the process of how you came up with the look of the Monster. AW: While I love Boris Karloff's portrayal of the monster, which I find so heart-wrenching and touching, I turned to the book for the look of the creature. 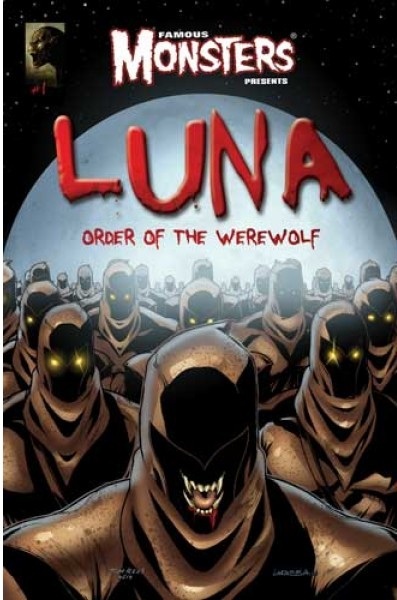 In the novel, the creature isn't just tall, he possesses super-human size, strength, agility and intelligence. So while I used the novel as a framework, my film is set present day - we're catching up with the creature 200 years later. He's lived in isolation - having exiled himself from society. The years and psychological decay, not to mention life in the arctic have presumably made him quite different than the tragic creature we came to know by reading Shelley's novel. But I supposed you'd have to watch the movie to know for sure. It could just be, that in the film, we never find the creature. With marketing these days, you never know, right? BUG: This had to be a hell of a shoot with the snow and the wilderness setting. Are there any horror stories from the shoot you'd like to share? AW: I love Alaska. I worked there once before, actually. In college, I spent a summer working in a cannery gutting fish. Other than the smell of fish guts eliciting a feeling of nostalgia (bizarre but true), two of the major things I took away from my summer in Alaska was how beautiful the state is and how crazy Alaskans are. I mean this in a good way. Alaskans, are fiercely independent, resourceful, hardworking, straightforward people. They are also generous and kind to strangers. Being a city kid, I find that very refreshing. Making a movie there in the winter was very different than my experience there in the summer. My biggest concern was safety for the cast and crew. The roads were very treacherous; I knew it was going to be an adventure when on the way to the airport to pick up the cast, one of the cars in our caravan spun out of control and started doing 360s down the highway. Fortunately, no one was hurt and we were all put on notice to respect the elements. Shooting in the wilderness near Sheep Mountain was remote, but breathtakingly beautiful. 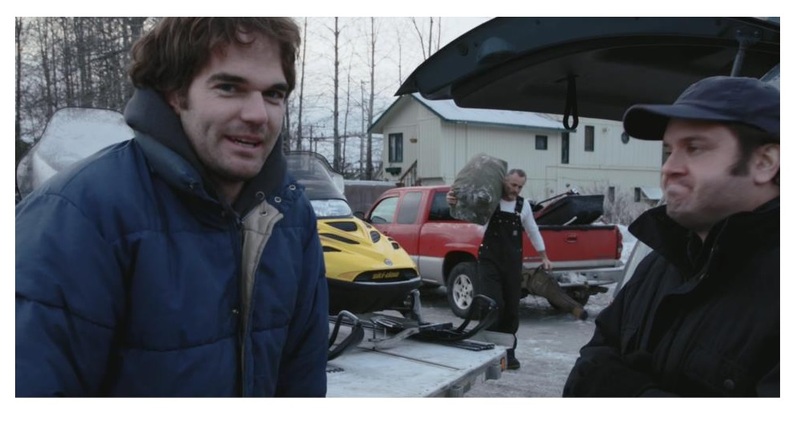 We travelled to and from set from set by snowmobile. The whole area was blanketed in snow and looked almost prehistoric in its desolation. Fortunately the equipment generally held up well despite the cold. Because it's so cold, you burn thousands of calories everyday just to stay warm - so one of the benefits of being up there is you can eat and eat and eat without gaining any weight (okay, maybe I gained a pound or two, but that's it!). Also, we had moose sausage for lunch one day. That was a first. The other major logistical challenge to shooting up there is dealing with the snow. It slows everything down. It's hard to move around in two feet of snow. Lugging around equipment, climbing up hills to set up a shot, becomes incredibly physically demanding and time consuming. Fortunately the crew was very resilient and never once balked at a request - no matter how difficult the challenge. The cast was also very accommodating, which I'm appreciative of, because there were times when their wardrobe demanded that they be underdressed, but they were always game for whatever was needed. BUG: I liked the way you tied in Mary Shelley's novel in with the film, stating that it is non-fiction rather than fiction. What do you think it is about FRANKENSTEIN that fascinates so many and inspires so many filmmakers to reinterpret it? AW: The novel, for just under 200 years old, looks pretty damn good. Though still a teenager when she wrote the book, Mary Shelley was surrounded by some of the great literary and intellectual minds of her time. Mary Shelley's own mother, Mary Wollstonecraft, died when Mary was just eleven days old from complications due to child birth. Mary Wollstonecraft was a famed writer and feminist, penning the seminal book A VINDICATION OF THE RIGHTS OF WOMAN. Mary Shelley's father, William Godwin, another iconic writer and political figure, never got over his wife's death and burdened young Mary with a terrible guilt for the death of her mother. As she was constantly reminded of how great her mother was, Mary felt it was her duty to live a purposeful life and strove hard to create a profound piece of literature. Of course in writing FRANKENSTEIN, she exceeded her own expectations. The reason why it resonates with audiences today, is because the themes are still relevant and the creature that is created by Dr. Victor Frankenstein is broken, flawed and utterly human, even though he's a not human at all - he's a monster. In the course of my research, a theory I came across is that the creature represents Mary Shelley - something unnaturally birthed that destroys and wreaks havoc on that which it loves. I do believe, that theory is possible. There are many elements from Mary Shelley's own life that finds its way into the novel - some are clearly intentional, others I'm sure happened subconsciously. BUG: Here's a basic question that seems to something I would think would be very difficult with found footage films. All actors are supposed to act like they aren't reading lines, but there's a level of naturalness to found footage films. How do you direct actors to act like they are not really acting? AW: I've worked with a lot of directors and observed how they interact with actors and it's surprising how different the relationship between director/actor can be. In terms of how I work with actors, it does vary a bit from actor to actor (just as my relationships vary from person to person), but for me the key is finding good actors. If I have any talent in directing actors, it really goes back to the casting. I will pat myself on the back and say I assembled (with the help of casting director Charley Medigovich) a tremendous cast that performed brilliantly in their respective roles. The actors understood the material and knew what I was going for. Really talented actors, will not only give you what you want, but sometimes, they'll make unexpected choices that elevate the material. BUG: What's next for you? Do you plan on making any more horror films? AW: I'm currently writing and producing another horror film, but this one I won't direct. The next film I plan on directing is a stripped down thriller that I plan to shoot this summer. Right now my primary focus is on getting the word out on THE FRANKENSTEIN THEORY. It is a fun interesting movie, so go out and see it in theaters, or watch on Video on Demand, or get the DVD - if you do all three things and I will love you for all eternity. BUG: Last chance, why should folks check out FRANKENSTEIN THEORY? AW: Between me and you, the film is a real documentary - disguised as a fake documentary. So it's a film within a film within a film that is 100% true. The subject matter was so explosive, that I felt it best to pass it off as fiction, but the cat's out of the bag - and you heard it here first. BUG: THE FRANKENSTEIN THEORY is available on Video On Demand, iTunes, and in select theaters now. It will be available on DVD/Bluray on this week! Below is my review of the film. Available on Video on Demand, iTunes, and in select theaters now, available on DVD & BluRay this week! Though there have been plenty of found footage films capturing everything from Bigfoot to aliens to demons to zombies, I have to say that a found footage Frankenstein film is something I never thought I would see. For that, THE FRANKENSTEIN THEORY is worth noting simply for being something of a first for the subgenre. The film maintains a fun tone throughout, playing with the notion that the Mary Shelley book was actual fact instead of fiction and the names had been changed to protect the innocent and not so innocent. Sure someone citing one of the greatest horror stories in literature as fact is going to cause eyes to roll, but it does so with the cast too and I really like the realistic way some of the members of this ragtag documentary film crew have their doubts about the guy funding the trip’s sanity. It’s that level of reality we don’t often see in these types of films, that of the role of the guy who honestly isn’t a believer and only there because it’s a paying gig. 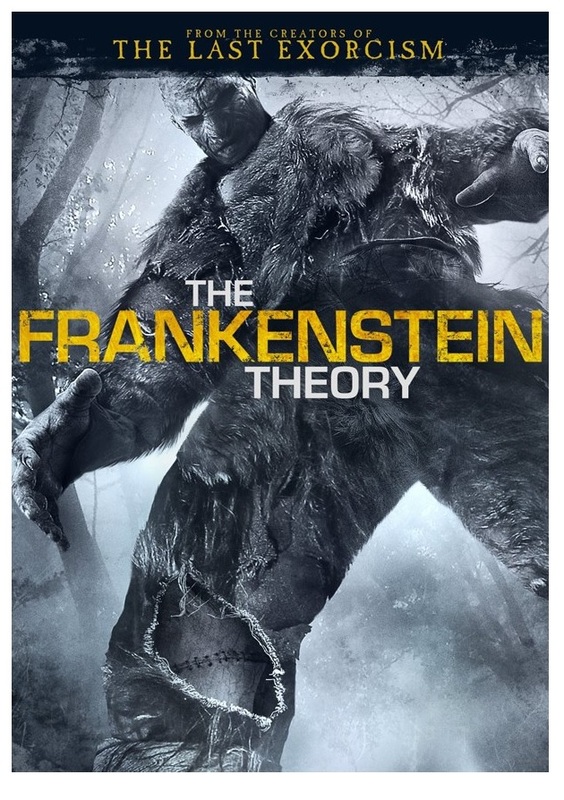 The acting in FRANKENSTEIN THEORY is equally good and though the believer and funder of the group John Venkenheim, played by actor Kris Lemche, is obviously as bent as the distant relative from Shelley’s novel he claims to be related to, he doesn’t ever go completely bugnuts with it and I admire that restraint. The film does have its moments of fear as howls from the woods indicate that there might be something to Venkenheim’s theories. When some of the film crew goes missing, things continue to point in the direction of the Von Frankenstein reality and a nice climactic ending wraps this low budgeter up nicely. Director Andrew Weiner captures the cold and wet Alaskan woodlands well as it definitely is a shoot I wouldn’t want to be on. Though it is very similar to a lot of the other found footage films out there story wise, I like the idea of a literary character come to life in present day. And while we only see bits and pieces of the monster itself, there are definitely some moments that’ll make you jump. All in all, THE FRANKENSTEIN THEORY isn’t the most original in the way it tells its story and the way it pans out for our investigators, but the initial idea is pretty unique. 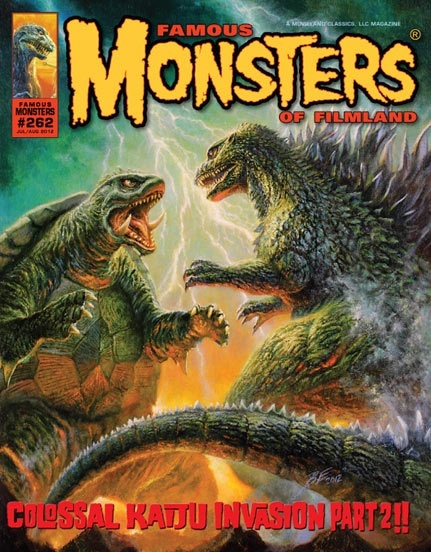 Check out the FAMOUS MONSTERS OF FILMLAND Website for all things horror!